Once or twice a year my tasting group gathers to survey a collection of wines from Gianfranco Soldera. These tastings are always unforgettable, as Soldera’s Brunellos have the rare ability to captivate all the senses with their profound, riveting beauty. To be honest, though, the cards were stacked in our favor, as the selection of vintages pretty much moved from strength to strength. Sadly, we did not have a good bottle of the 1997, but that turned out to be a relatively small blemish on an otherwise fabulous night. A former insurance executive from Milan, Gianfranco Soldera purchased Case Basse, in Sant’Angelo in Colle, after looking extensively for land in Piedmont and Tuscany. The estate's superb location and its exposure to light in particular were the big draws. 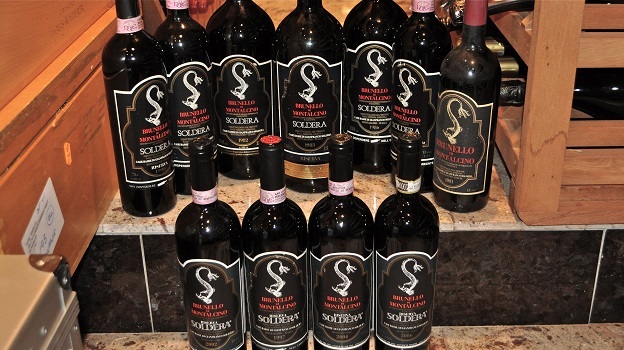 Soldera set out to make world-class wines, accompanied by a steadfast belief in the greatness of Sangiovese and a palate shaped by the legendary Barolos and Barbarescos of the 1950s and 1960s he had tasted as a young man. As it turns out, Soldera knows more about the iconic wines of Piedmont than almost anyone else I have ever met, but that is another story. 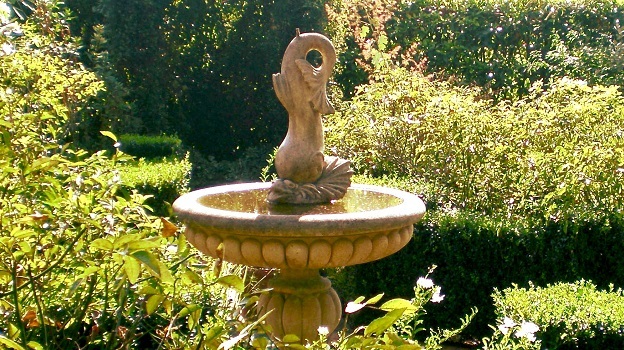 In the meantime, Soldera's wife, Graziella, created a botanical garden that is home to an extraordinarily diverse ecosystem of plants and flowers. Vineyard development began in 1972. A few years later, Soldera released his first wines off the property, then known as Rosso dai Vigneti di Brunello. 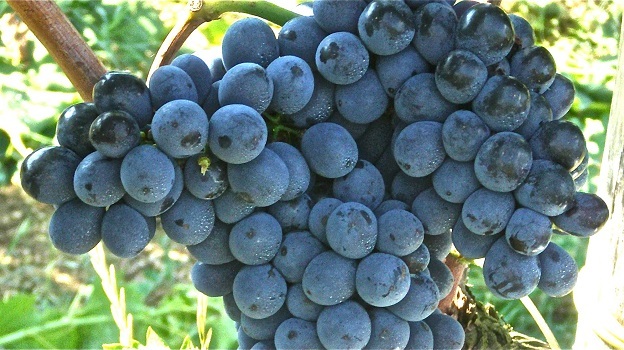 The first Brunello di Montalcino followed in 1979. Even today, the 1979 is in great shape, a testament to the pedigree of Case Basse and Soldera's vision. As always, the Soldera Brunellos are made with painstaking care in the vineyard, minimal handling in the cellar, indigenous fermentations and long aging in cask, typically around six years. The wines often drink well young, but really start opening up around age fifteen or so. These remain some of the most stunning and deeply expressive wines readers will taste from anywhere in the world. 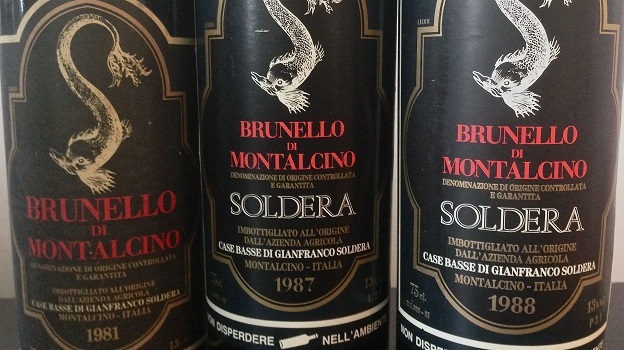 Soldera’s 1981 Brunello di Montalcino, from my cellar, is utterly exquisite. Still bright and deep, the 1981 impresses for its depth. Hints of truffle, tobacco and soy sauce suggest the 1981 is mature, but these wines have proven to age a glacial pace, and there is more than enough fruit to suggest the 1981 will reach its 40th birthday in fine shape. Although a bit rustic next to the masterpieces that follow, the 1981 is a real treat to taste and drink. 93/Drinking window: 2015-2021. Things get much more serious with the 1982 Brunello di Montalcino, which I have never tasted from magnum. What a wine! What else can I say? Not much. Huge, bright and tannic on the palate, the 1982 exudes magnificent purity in its expression of Sangiovese. This is a classic 1982, with tons of energy and structure, two of the principal signatures of the year. The 1982 doesn’t quite have the mid-palate depth of Soldera’s very best wines, but it is still hypnotic and mesmerizing. 97/Drinking window: 2015-2029. The 1983 Brunello di Montalcino, also from magnum, halts all conversation. Deep, dense and powerful, the 1983 boasts stunning depth and explosive intensity. Much like the epic 1990 Riserva, the 1983 is huge through the mid-palate and finish, with seemingly endless layers of fruit and magnificent concentration. Crushed rocks, smoke, tobacco and spices wrap around a core of dark red cherry and plum notes. The flavors are remarkably vivid in a dark, brooding Brunello that will continue to thrill those lucky enough to taste it for at least another twenty years. 100/Drinking window: 2015-2024. One of the more accessible and mature wines in this tasting, the 1986 Brunello di Montalcino is already quite forward, with smoke, tobacco, menthol and worn-in leather notes that open up in the glass. The 1986 is quite pretty and supple today. Despite its obvious beauty, the 1986 appears to have limited cellaring potential at this stage. Nevertheless, it is hugely delicious today, even in this company. 96/Drinking window: 2015-2024. Soft, silky and expressive, the 1987 Brunello di Montalcino is also quite open. Crushed flowers, sweet red cherries, raspberries and tobacco meld together in a soft, gracious Brunello that is giving all it has today. This is a distinctly feminine Brunello built on understated persistence and pure class. 96/Drinking window: 2015-2019. Absolutely stunning, the 1988 Brunello di Montalcino is a wine that demands undivided attention. Huge tannins provide the backdrop as this dark, brooding Brunello struts its stuff. The flavors are dark and intense throughout, with tons of energy that gives the wine its focus and sense of direction. It’s hard to move on after the 1988, a wine that captures the essence of Sangiovese from Montalcino in this great vintage. 97/Drinking window: 2015-2034. The 1990 Brunello di Montalcino Riserva remains arguably Soldera’s greatest masterpiece. Still as captivating as it has always been, the 1990 Riserva saturates the palate with magnificent depth and pure intensity. There is a feeling of glycerine and textural plushness that separates the 1990 Riserva from most wines that have been made here over the last forty years. Sensual, exotic and explosive in the glass, the 1990 Riserva has it all. Soldera’s 1990 Riserva remains one of the greatest wines ever made in any region. 100/Drinking window: 2015-2034. The 2002 Brunello di Montalcino Riserva is developing into a surprisingly delicate, almost Burgundian wine. Refined and utterly weightless in the glass, the 2002 is all about precision. Crushed flowers, sweet red berries and spices linger on the finish. Although beautiful today, the 2002 is an infant, as the flavors remain quite primary. Tonight, finesse rules, but in previous tastings the 2002 has always come across as quite structured and tannic. This will be a fascinating Brunello to track for the next several decades. 97/Drinking window: 2015-2042. Soldera’s 2004 Brunello di Montalcino Riserva is every bit as beautiful as it always is. Super-refined and finessed, the 2004 is one of the most aristocratic, nuanced wines Soldera has made over the last four decades. I imagine the 2004 will reward readers with several decades of exceptional drinking. It is of course quite young today, but all the elements are so balanced, the wine is pretty much impossible to resist. 97+/Drinking window: 2015-2034. Once again, my impression is that the 2006 Brunello di Montalcino is not fully formed. Surprisingly refined, silky and polished, the 2006 is incredibly appealing, but it also does not appear to have the structure of the best vintages. There is plenty of time, though, so it will be interesting to see how the 2006 develops over the coming years and decades. 95+/Drinking window: 2016-2046.